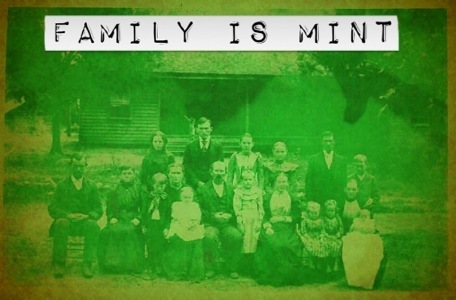 Whether you all get along, or feud in ways inappropriate for broadcast television, your family is mint. They are our personal sitcom, dramedy, and tragic tale all rolled into one. They are the chips we are dealt and they are the fertilizer for growth. They are our spring board for life and our cushion, if any, when we fall. No matter what, they are minted in our life’s story. Hopefully yours is more Family Ties than Donner Party.